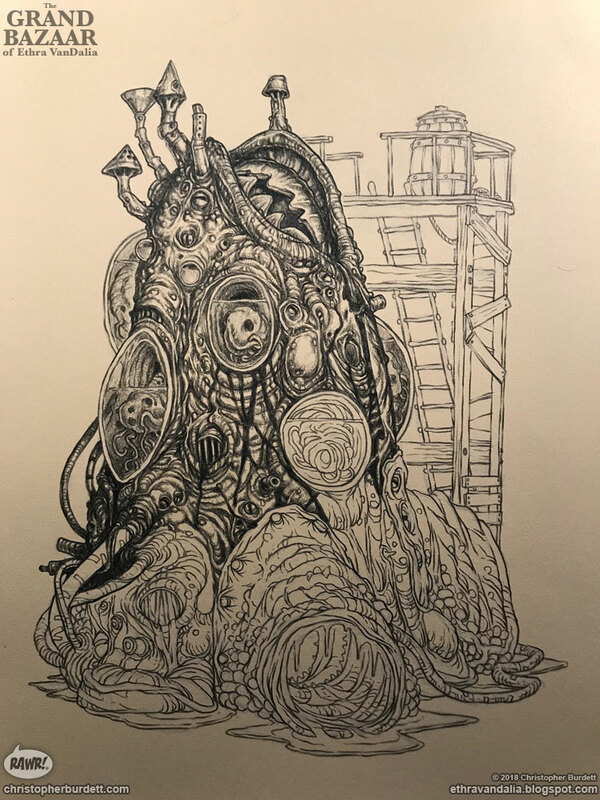 I have for you a new piece from The Grand Bazaar of Ethra VanDalia! Today's monster is the mysterious Woven Egg. 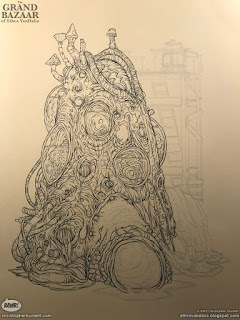 Long have beings wondered just how the Woven Shaper makes its bizarre and wondrous creations. 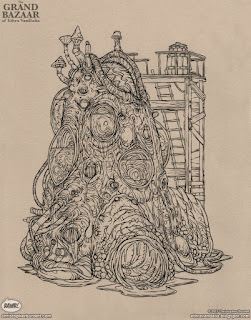 While a handful have actually seen on, the rumors of the Woven Eggs has circulated the Bazaar for ages. 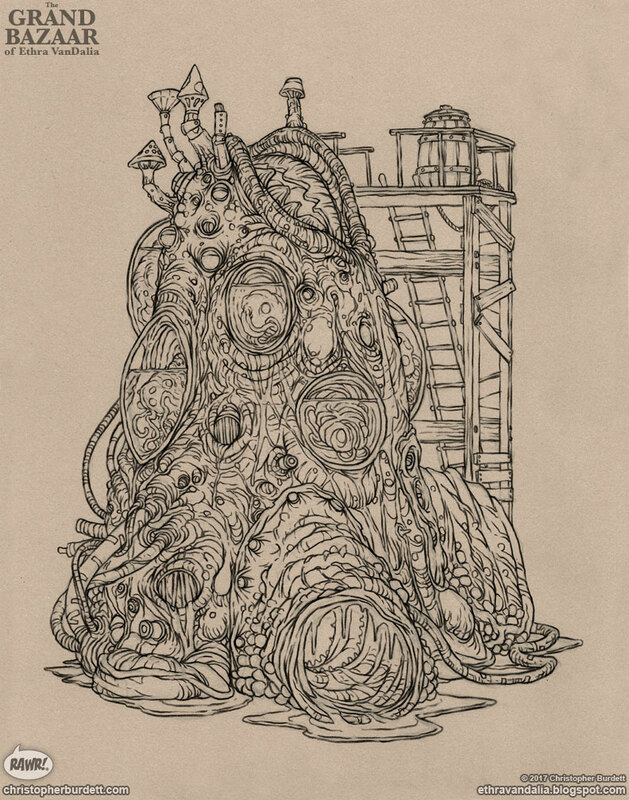 Shaper cares for its Eggs with loving care, doing its best to keep them secret. Heed a word of advice, do not let curiosity get the best of you, do not try to see an Egg with your own eyes. 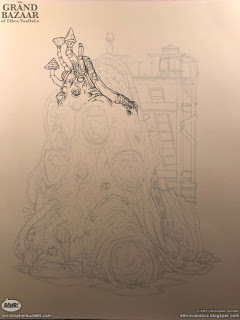 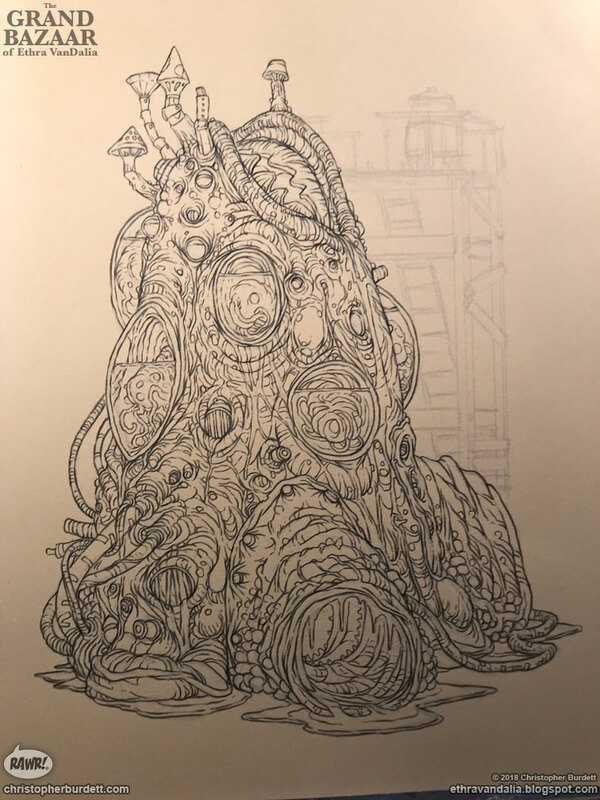 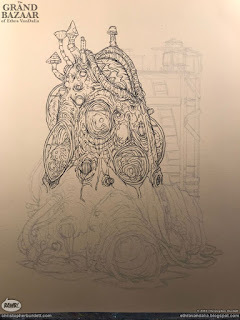 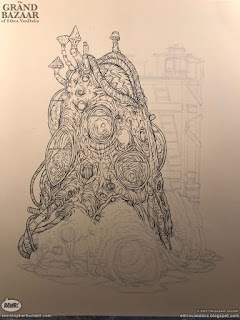 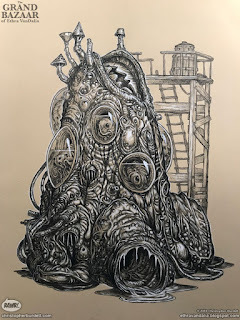 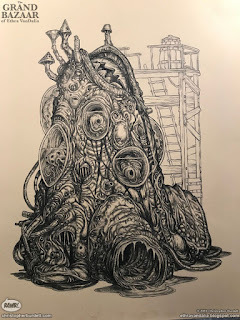 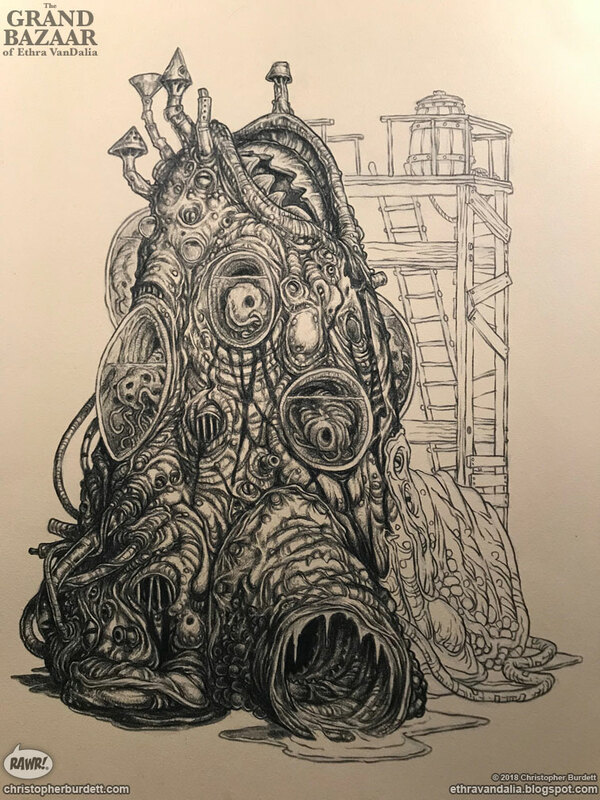 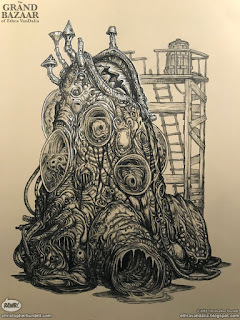 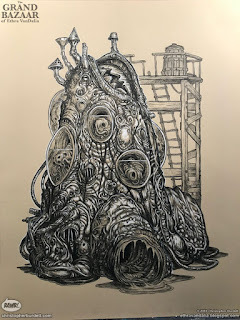 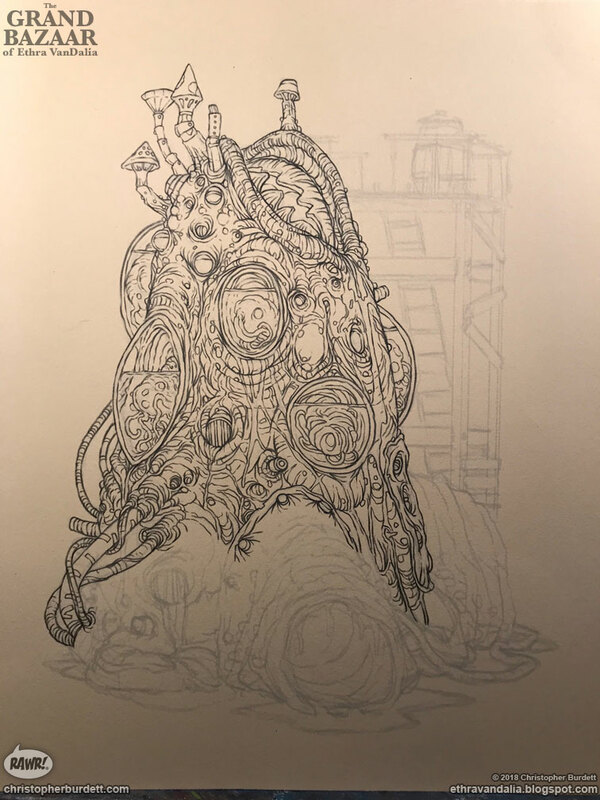 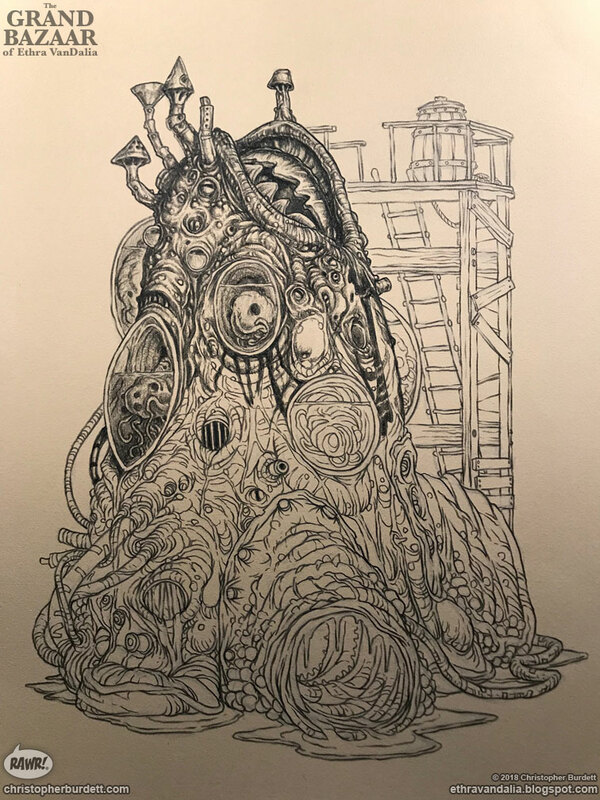 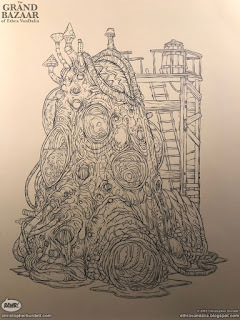 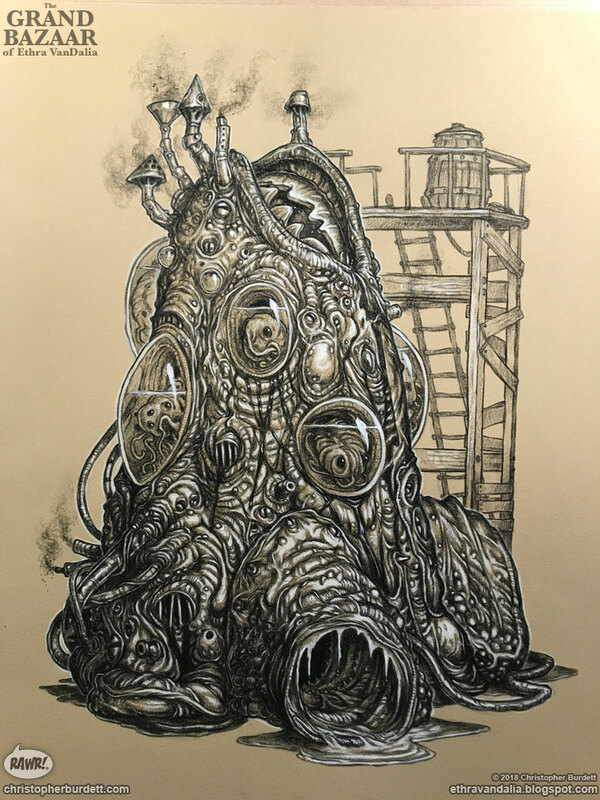 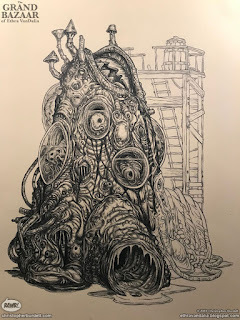 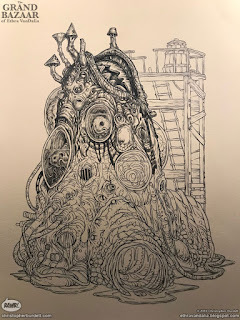 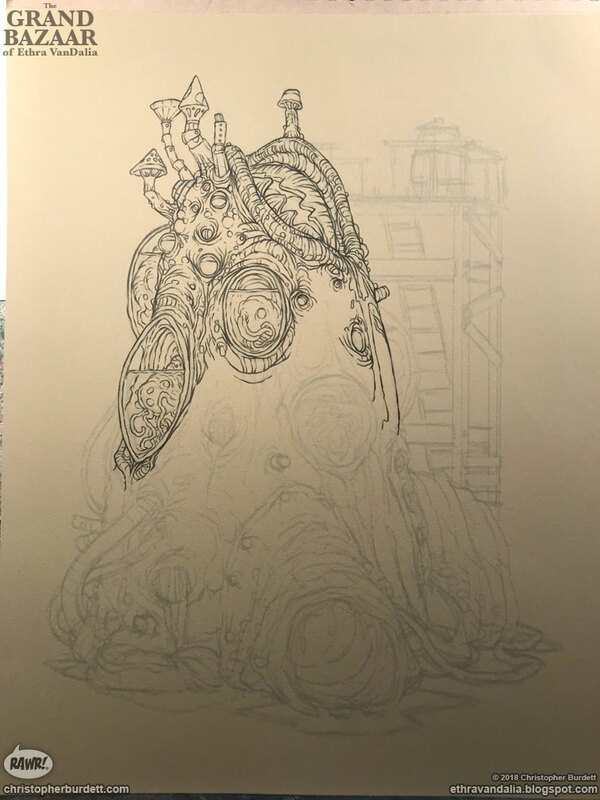 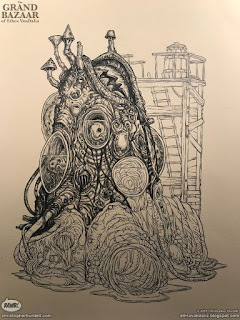 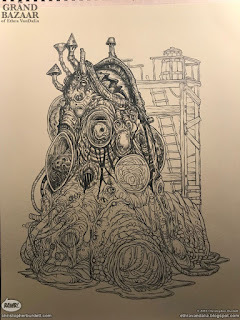 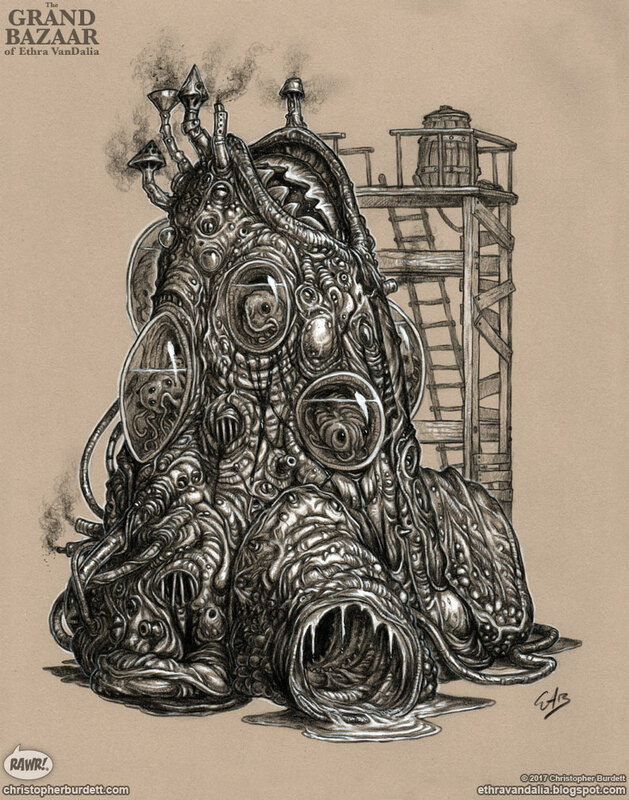 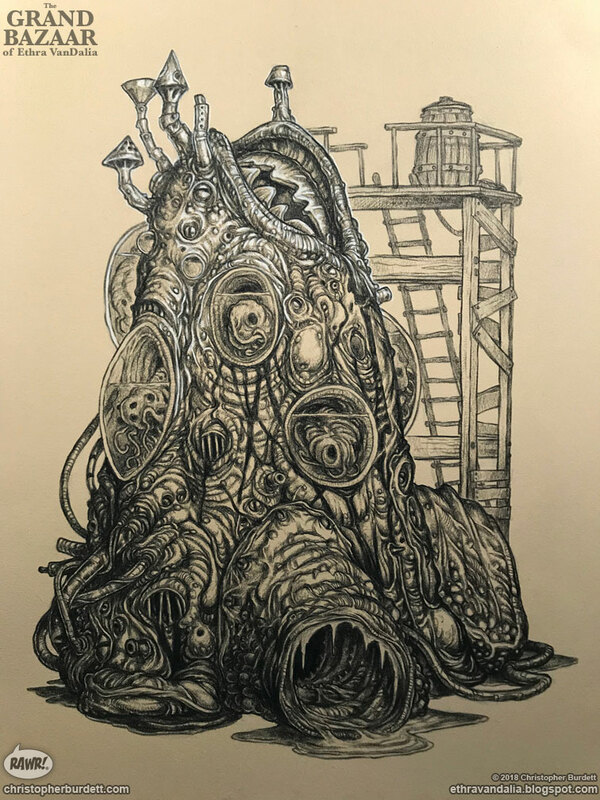 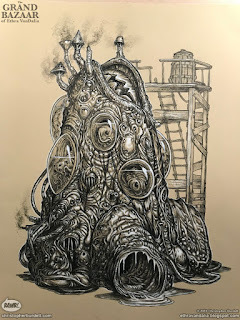 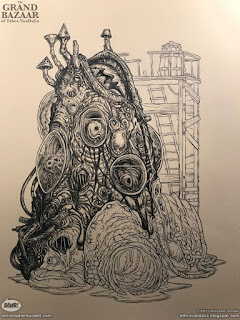 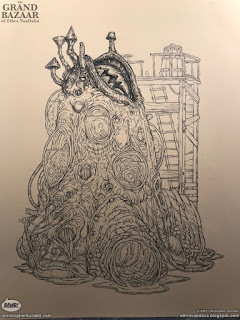 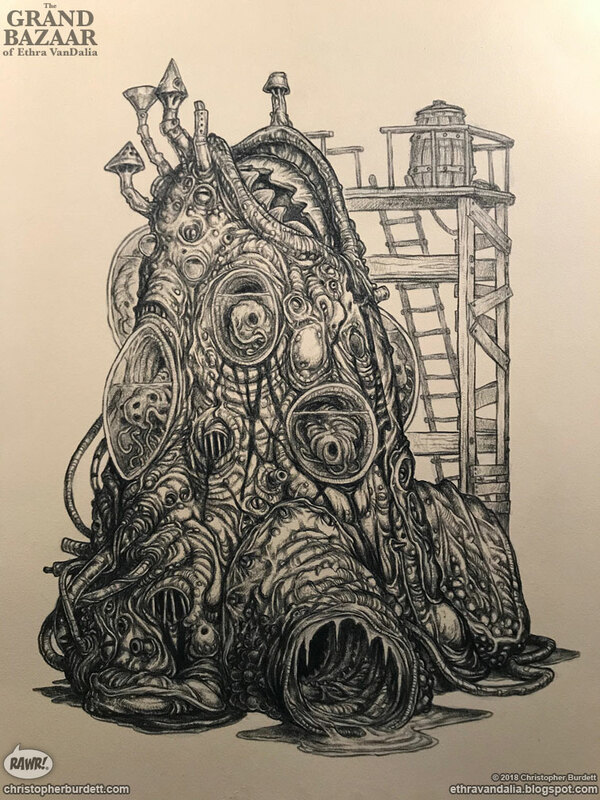 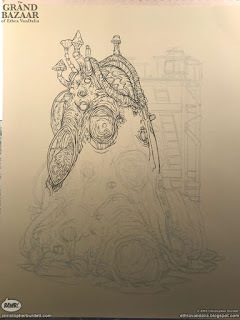 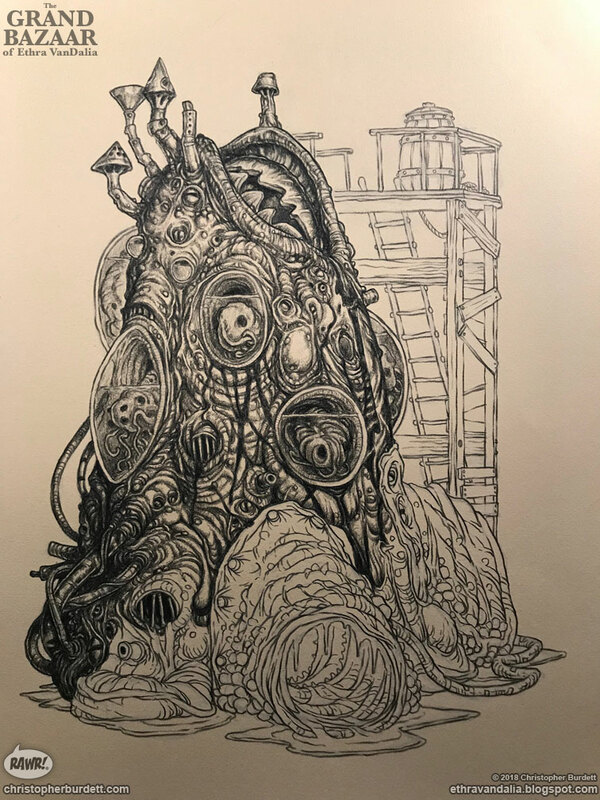 If you would like read the thoughts of Agatha Luculent Habile, Acolyte of the Impure Husk, regarding this monster then head on over the The Grand Bazaar of Ethra VanDaila blog! 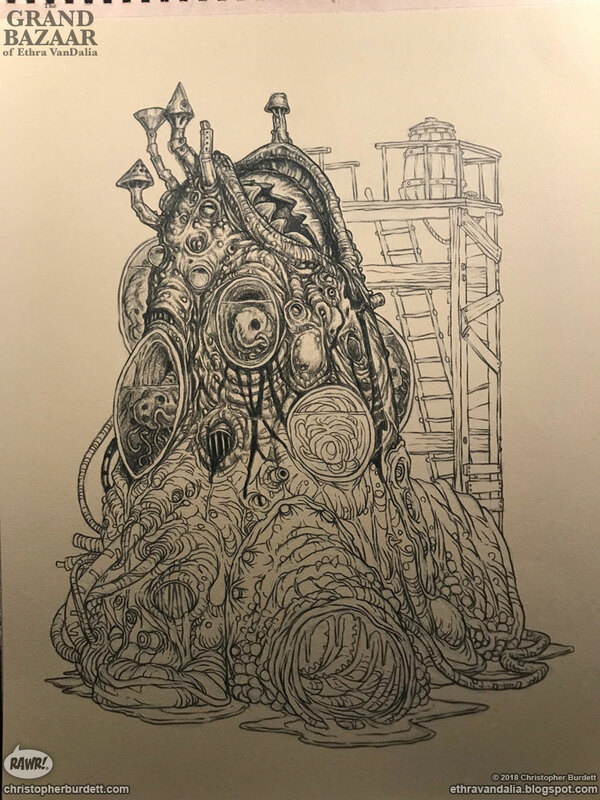 Here are all the other completed monster for The Grand Bazaar of Ethra VanDalia: Aberrant Stilter, Belled Kreep, Corrupted Knight, Dight-Kin, Eau-de-nil Elder, Ethra VanDalia, Footman, Gray Wanderer, Gullet, Humgruffin Mother, Irritated Girasol, Judicator, Kiplorbic Animal Dealer, Lammergeier Transport, Myopic Riflemen, Nimsbane Curse Victim, Ophiomornous Bureaucrat, Petrous Blacksmith, Quincaillerie, Rapacious Guttersnipe, Saint Marque, Smokestack, Thrice, Uncanny Scribe, Virulent Artificer, Woven Egg, Xandrell Tree, Yote Arms Dealer, and Zombic Spore.